Electronic garage doors can either have sectional panels or one entire piece that swings outward. Whatever type of door you may have, they all operate under the support of torsion coil springs and sensors. Over a period of time of continual usage, they will eventually malfunction by either becoming noisy, sluggish, sticking, or failing to operate entirely. Anytime your overhead garage door stops operating, check the sensors first. They are located on each side of the door, usually only a few inches from the floor. One has a red indicator while the other’s light is green. The two of them are meant to identify one another by design. Make sure there is no obstruction blocking their path of sight. When something is in the way, they should begin to flash. If they start to malfunction, try adjusting their alignment, cleaning them, or even replacing the sensors completely. A malfunctioning electronic garage door can also mean that the sensors are not aligned. They are supposed to see each other; an unaligned sensor will prevent this from happening causing the door to not work. Simply loosen their screws and adjust one or bother of them until they have regained a direct line of sight. Often times when failures occur, it has something to do with the garage door motor. The motor is the main power unit of the door and when it goes out, so does the functionality of the door. Be sure that it is properly connected to a working power source and turned on. If you can hear the power running through the motor but it is still not pulling the door, it may need servicing or replacing. 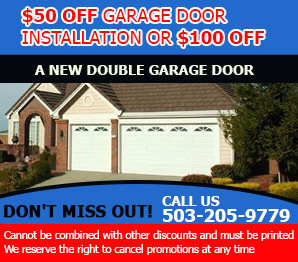 This will require the expertise of a professional from garage door repair Lake Oswego.